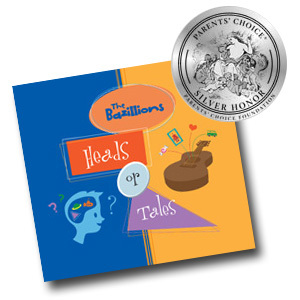 In 2013, Heads or Tales was honored with a Parents’ Choice Silver Award. A third album is set for release in 2015. The imagery, stories, and clever teaching in the songs attracted the design / animation team of Eric Kreidler and Gretchen Blase Kreidler to The Bazillions’ project. 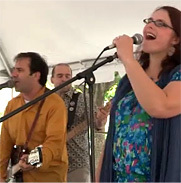 Since the partnership began in 2010, Eric and Gretchen (collectively eg design) have produced eleven critically-acclaimed animated music videos for The Bazillions, along with a sing-along book and other materials to support and grow The Bazillions’ brand experience. Created in the spirit of Schoolhouse Rock and classic Sesame Street, the videos have received over 1.7 MILLION YouTube views, with “Preposition” leading the way with over 900K views, and “Similes and Metaphors” at well over 300K. Hardly a school day goes by without receiving high praise from kids, parents, and teachers alike. Thanks to a successful 2013 Kickstarter campaign, the entire video collection is now available on DVD. 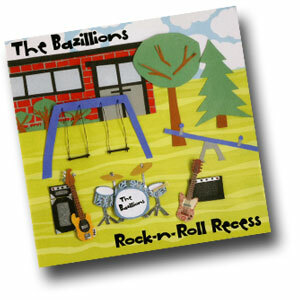 With years of indie-pop gigs under their belts, The Bazillions bring their music to the kindie rock stage with a well-honed live sound. But the shows have rapidly and organically grown into a full multimedia experience. Buckets of crayons and song-themed coloring sheets transform coffee shops and auditoriums into activity centers. After the show, children have the opportunity to have their drawings photographed for posting on The Bazillions’ web site. 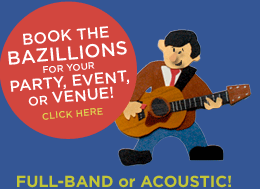 The band’s growing catalog of animated videos provides a lively backdrop for their musical performances. And the Marshalls’ natural rapport with kids keep the audience on the edge or up out of their seats, dancing to The Bazillions’ groovy beat! 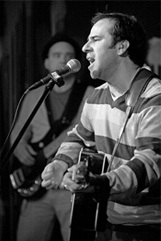 Notable shows include multiple appearances at 89.3 The Current’s Rock The Cradle, a long running series of shows with Twin Cities’ Public Libraries, and appearances at the Minnesota State Fair. “Super Sonic Rocket Bike”, the signature track from Rock-n-Roll Recess, is all about seeing just how far your imagination will take you. This goes for music, art, learning, or whatever you’re into! 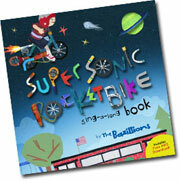 The Bazillions books and videos capture this spirit of handmade creativity, and will hopefully inspire children to blast off on their own Rocket Bikes of the imagination. 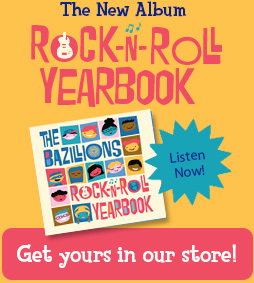 We plan to continue to grow The Bazillions experience, with new songs, stories, videos, artwork and activities that both parents and kids can enjoy. And to maintain the quality and integrity of our offerings that comes from independent artists and that parents and kids deserve. Please contact us with any booking or other questions.